As some of you may have noticed, with the recent upgrade we experienced to the CB forums, we now have the functionality to create social groups, for picture sharing, discussion and common interest. In order to make this easier for anyone not familiar with the process, I have put together a brief tutorial with pictures explaining how to go about creating your very own group. 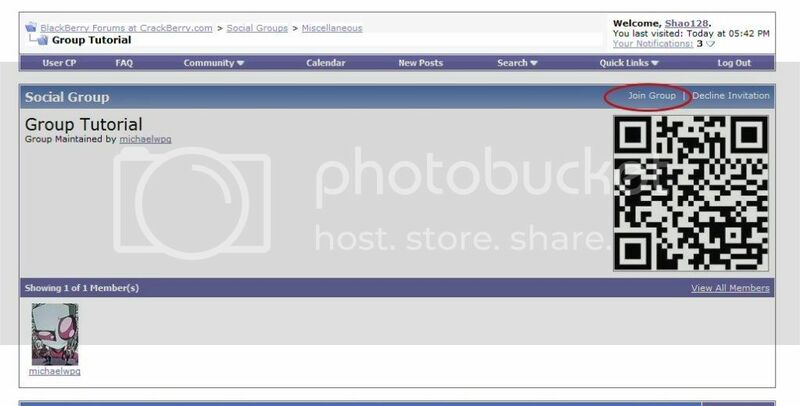 From the forums main page, click the link in the toolbar labelled "Community"
Select "Social Groups" where you will be taken to the main Groups page, seen below. There you will have a display of the Categories to choose from, a Random Group, Groups you have Created, and Your Groups. You will also notice a window on the right hand side showing you New Groups that have recently been created. At the bottom of the page, You will find the option to "Create a New Group". Clicking this link will take you into the simple process of creating your new social group. On the first page, you will be asked to select a category for your new group from the available options. You can then enter a group name, and short description of what your group is intended to be about. You also have the option of selecting a Group Type, with the selection being Public, Moderated, or Invite Only. You can also choose to enable albums for picture uploads, and messages. Once you have filled in the appropriate info, click "Save" and proceed to the next screen, where you will select your group icon. Here you will select an icon to use for your group. You have the option of entering a url to the image, or uploading an image directly from your computer. Click "Save Changes" to finish. You have now created your group. From the Groups main page, you can click on the group of your choice to view its main page, with a list of members, the pictures uploaded into the album, and discussions currently open. To join an existing group click Join Group link in the upper right corner. Note: If the group is marked as private you will need an invitation to join the group. CrackBerry now features an Albums, this will allow you to share you pictures with the rest of the CrackBerry Nation without hosting them else where. To get started click the Pictures & Albums link under the Community heading. Then give your album a Title and Description, you can also select whether you want your album accessible by the public or keep it private. You can then begin uploading photos to your album. Note the maximum file size and picture dimensions. Pictures larger than this will be automatically rejected by the system. Once uploaded the picture will now appear in your album. Clicking the picture will give you a larger view as well as links that you can share with others. The first link is a direct link to the picture where the second one is properly formatted for posting in the forums. Select the group to which you want to add the picture to and click the button. By pm9350 in forum New to the Forums? Introduce Yourself Here! Why upgrade to a Z30 from a Z10?